One summer in my childhood I've spend with friends of our family near Lida city. The most memorable things were 19th century chemistry book with periodic table missing half the elements and eagle glowing in the dark. Over the years I've tried to find it several times, but this year I've finally succeeded. Granny in Ufa was selling it, but she refused to mail it and accept payment remotely. It took quite an effort to find someone in Ufa to personally visit her and send the eagle to me via mail. 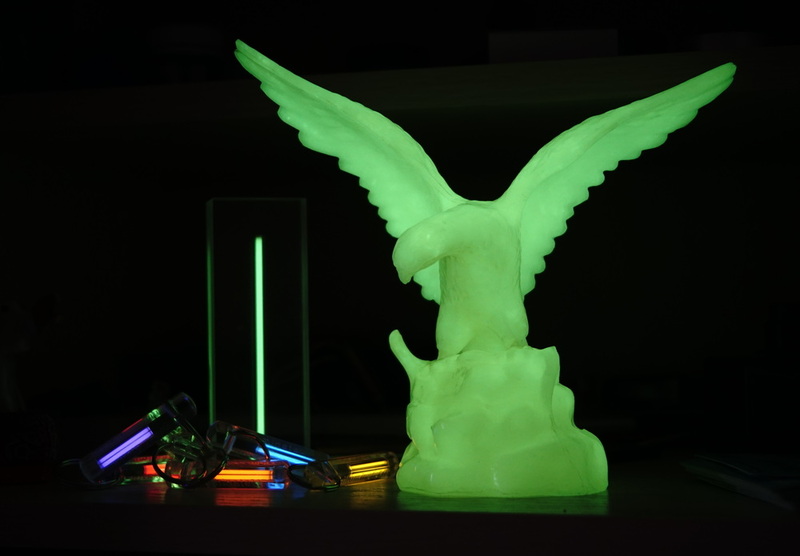 As a result - eagle glows just great :-) Although if you compare it's to modern phosphorescent pigments it fades rather quickly (minutes/dozens of minutes).